With nearly 25 years of experience in all areas of Immigration and Nationality Law, we can help. Get a certified expert in Immigration and Nationality Law. The initial consultation is free. Immigration Lawyer Los Angeles Helping Families all over the U.S.
Immigration Lawyer Los Angeles, California and the U.S.
We know how difficult petitions can be in Immigration Law. There are Notarios and unscrupulous attorneys. However, we are here to help you and will let you know what can or cannot be done and the realistic assessment of the case. With over 25 years of experience, 850 Youtube Videos, 5000 cases and clients from multiple States and Countries, you can trust that we know what we are doing and will be able to help you. Immigration Law is Federal Law, and therefore, we are able to represent you no matter which State you live. Additionally, we represent families and corporations from around the world. It is better to have somebody who knows what they are doing, rather than one who is local. 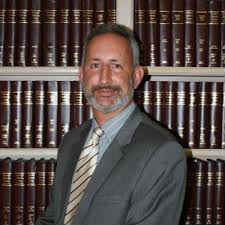 Brian D. Lerner has been certified as an Expert in Immigration and Nationality Law. This is what our firm does 100%. With all the changes and regulations in Immigration Law, you need to have a dedicated expert.